Austin luxury real estate, but who will you choose to build it? It’s a tough decision, and not one that should be taken lightly. You need to know all of the facts so that you can fully understand what you’re getting into. For example, did you know that the state of Texas does NOT license and regulate homebuilders? Therefore, you must carefully look past tactfully put together marketing techniques to find out your builder’s true qualifications. Duke McDowell, president of Sterling Custom Homes in Austin, knows a lot about building quality homes. In fact, Sterling Custom Homes has been helping buyers just like you to build luxury custom homes for more than 22 years; and Duke warns for homebuyers to carefully choose their builders. Sterling Custom Homes has built its career and reputation on building the highest quality custom homes while developing streamlined systems that make the homebuilding experience enjoyable for everyone involved. 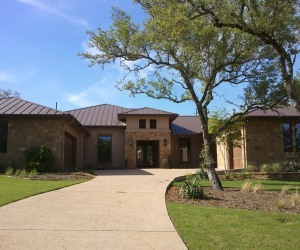 You’ll see the Austin builder’s new home construction in several of the area’s premier custom home communities. Whether you’re looking for a private gated or resort golf community or want the serenity of lakeside views, Sterling Custom Homes has you covered. You can find Sterling’s new home creations at a bevy of communities including Lakeway, Village of the Hills, Rough Hollow, Caslano, Seven Oaks, Barton Creek, Mirador Drive, River Place, Spanish Oaks and The Reserve at Lake Travis. Sterling Custom Homes website. And, make sure to choose your luxury home builder wisely.